Whether measured by the Gini coefficient for OECD countries, or by the take of the top 10%, income inequality rates in the UK are today the worse in all of Europe. The effects percolate into many aspects of life in Britain. Primarily because of our tolerance of high levels of inequality children in the UK perform especially poorly in terms of education when compared with children in almost all other affluent countries. Normal countries do not tolerate such low spending on the education of the majority of children, let alone cuts to that spending. No other country in Europe tolerates such a huge amount of money being spent on the education of just a few children in private schools and so little being spent on the rest. High economic inequality leads to all schools becoming exam factories and a deterioration in the mental health and abilities of both children and adults, including the rich. Extreme UK income inequality perpetuates great inequalities in wealth. Data released from the Family Resources Survey in the last few weeks has shown that for the first time ever as you became older in Britain you now become less likely to escape private renting. If current trends continue then most people aged under 50 should assume they will spend the rest of their lives renting from a private landlord. The wealth of private landlords rose by £177 billion between 2010 and 2015 as landlords bought up more and more properties and as the price of all properties rose because of their frantic purchases, all fuelled by high and rising rents. Twenty years ago, when Labour came to power in 1997, 27% of all children and 26% of all pensioners in the UK lived in poverty. By the time they left power in 2010 those proportions had fallen to 18% and 17% respectively. Those falls represented a reduction in economic inequalities. The reductions could have been greater had the take of the best-off 1% not been allowed to continue to rise under Labour. However, under the Conservatives child poverty rates rose to 22% by 2017 and according to predictions made by the Institute of Fiscal Studies are set to reach 26% by 2021. The Conservatives halted the falls in pensioner poverty abruptly in 2011. By 2017 a sixth (17%) of all UK pensioners were still living in poverty. The key Conservative legacy is that of all the countries of Europe the UK was the only country to see no improvement in life expectancy between 2011 and 2015, the latest year for which data has been released. The failure of the Conservative government to see any improvement in public health since coming to office is the worse health record of any UK government since at least 1945. It contrasts with life expectancy improving by a year since 2011 in Norway, to now stand at 82.4 years. Even life expectancy in Greece, at 81.1 years, is today higher than in the UK, at 81.0 years. Greece faired worse than the UK in 2011. Now it does better. No falls in UK pensioner poverty rates since 2011 coupled with massive cuts to social care budgets and the NHS crisis mean that people in the UK now live shorter lives than people in Greece. The 2017 General election may well determine whether the many changes in life chances that began in 2011 become cemented for a generation. If the Conservatives win a large majority of seats, which it possible without a large majority of votes, then they can claim popular support for what they have done. The average child in the UK should expect to be taught at schools that are increasingly poorly resourced as compared to what school children elsewhere in Europe will experience, and more than one in four children will be poor. For working adults wages will remain low, rents will climber even higher, even more people will be forced to take any job, or any number of jobs, they can find. Most will spend most of their adult lives working to allow their landlord to become richer. Adults not in work will suffer even more. We should not expect to live as long as other people in Europe live if the Conservative majority is greatly increased. Already in early 2017 UK pension providers have removed many billions of pounds from future pension planning because they now do not think we will live as long as they had thought in 2011. The only political party in the UK that celebrates high and rising economic inequalities is the Conservative party. Mrs Thatcher believed high economic inequalities were good and reflected differences in what people deserved. Every other country in Europe has managed to hold inequalities lower than in the UK, often much lower and in most countries economic inequalities have been reducing or stable in recent years. Our problem is not a lack of available policies, it is being governed by people who have no interest in those policies or in telling the public that they believe most people do not deserve to be well off. 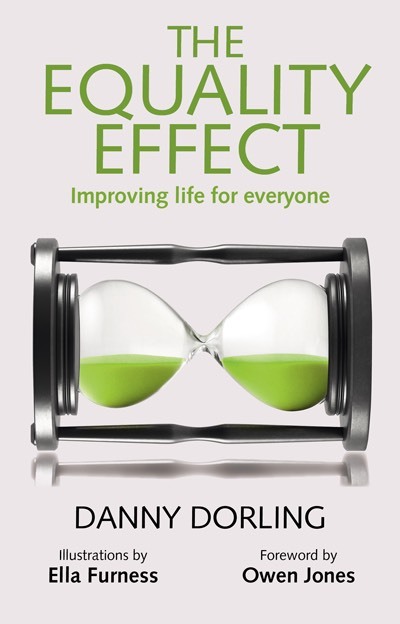 Education: Dorling, D. (2017) The Equality Effect, Oxford: New Internationalist.